Congrats: You booked your first ski trip. And once your excitement has settled down, you have to think about what you're going to wear. No need to worry about the big guns (aka all the snowboarding gear); you can rent that once you're at the resort. You might also have quite a few cozy coat options in your closet already. However, when it comes to shoes, your sneakers and everyday black ankle boots won't make the cut. 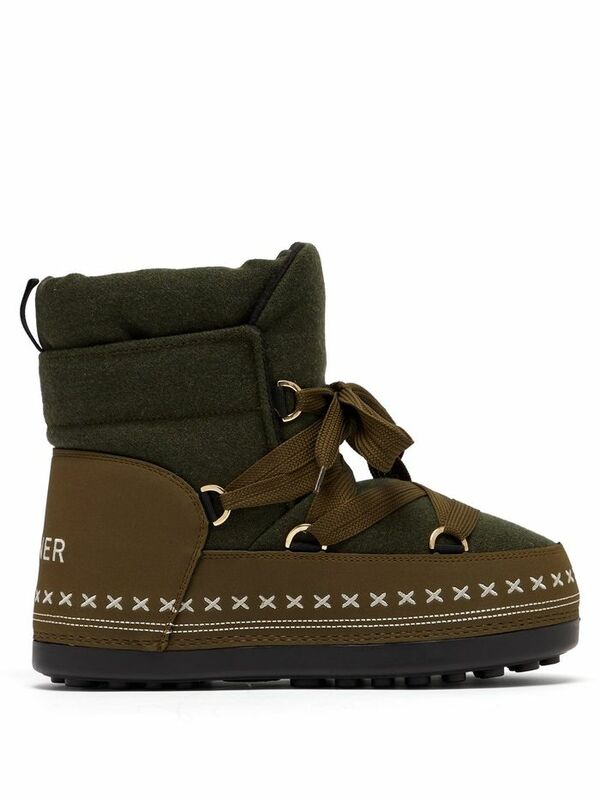 Yes, you're going to need après-ski boots, aka boots that will keep your toes warm and cozy after hitting the slopes. And your search for said style ends here: Ahead, we've rounded up the best warm boots to wear after skiing and snowboarding. From classic moon boots to trendier, more colorful options, there's surely a pair for you. By just looking at these, you can tell how warm they are. You'll be ready for the slopes with these boots. If you're a bit extra, these are for you. Here for this bright orange color. Opt for colorful boots instead of the usual neutral colors. These plaid boots are perfect for when you're lounging around. Who knew snow boots could be this chic? Not your typical Uggs, but they still do the trick. Count on Moon Boot for great snow boots. You'll wear these for all your ski trips. At least make sure the shoelaces are colorful. Wear these all through winter. These will go with all your skiing outfits. You can't escape the white-boot trend even when it comes to après-ski booties. We love the colorful details of these black boots. We want to wear these on a daily basis. Are you're planning for your first ski trip? Here's what else you should pack.